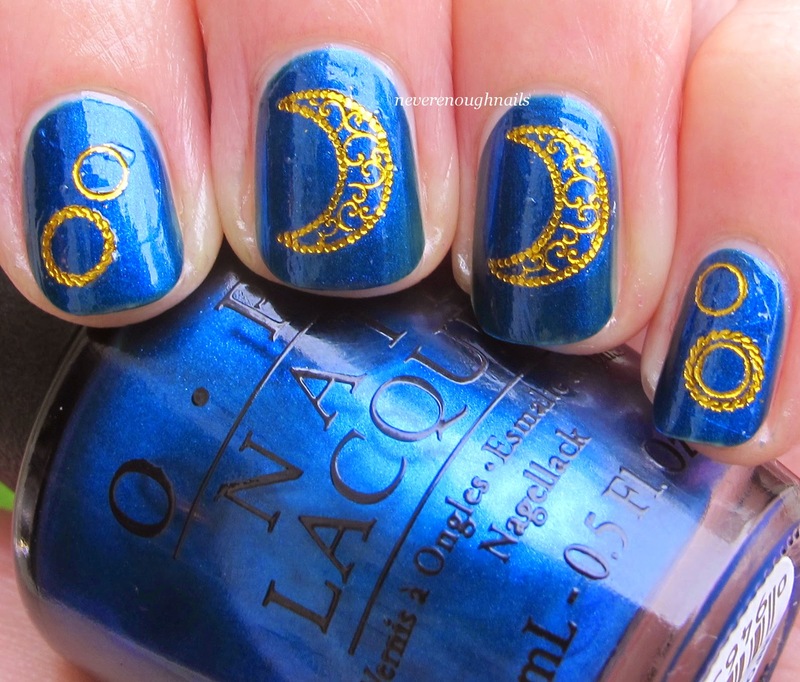 Never Enough Nails: Born Pretty Store Adorable Cat and Moon Decals! Born Pretty Store hands down carries the best selection of black cat nail stickers and water decals on the interwebs. 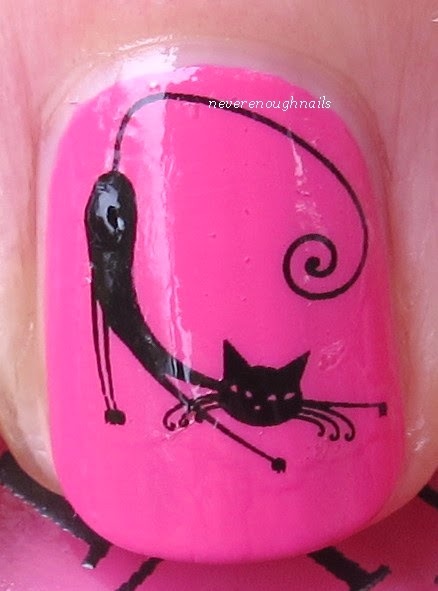 As the servant of a black cat, I personally can't get enough of black cat nail art. I picked these pretty kitty water decals out and couldn't wait to try them. This kitty is fancy looking and very elegant. 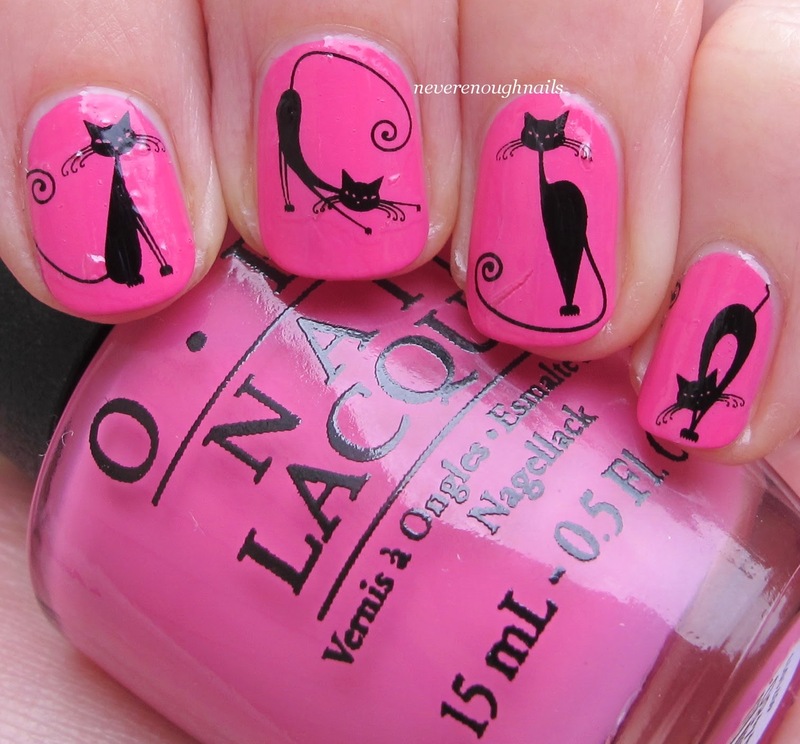 One sheet of these decals has 20 cats, so two full manis, and costs $1.99. There are 5 different cat poses, all very adorable. This is sheet D244. D243 is shown on the same page of Born Pretty Store, but the black cats are kind of creepy and melted looking. Those would be great for Halloween, I'm sure! These decals are easy to apply. Just cut out the decal you want to use, remove the plastic top film and soak the decal in water for 20-30 seconds. Slide the decal off the backing and apply to your nail. Add a layer of top coat for lasting power. I used OPI Suzi Has a Swede Tooth for my base here. One note, if you have small nail beds and short nails like I do, these will certainly be too large for your pinky nail. I had to cut the tail off of the poor kitty on my pinky LOL. Still cute though! 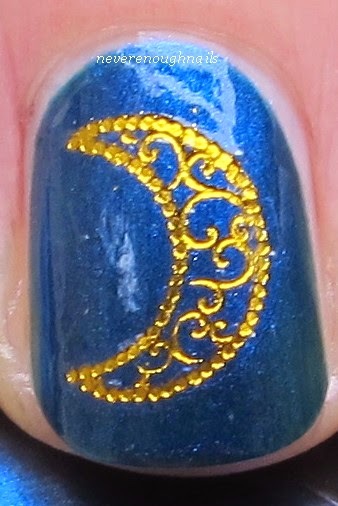 I also got these great golden moon decals from Born Pretty Store. I thought they'd look perfect over a night sky-like shimmery blue, so I used OPI Unfor-Greta-bly Blue for my base. These cute decals also come in silver if you prefer, and can be used as little half moons on some nail beds. There's a picture of that on the Born Pretty website if you'd like to see, but I think they're too wide for me to do that. 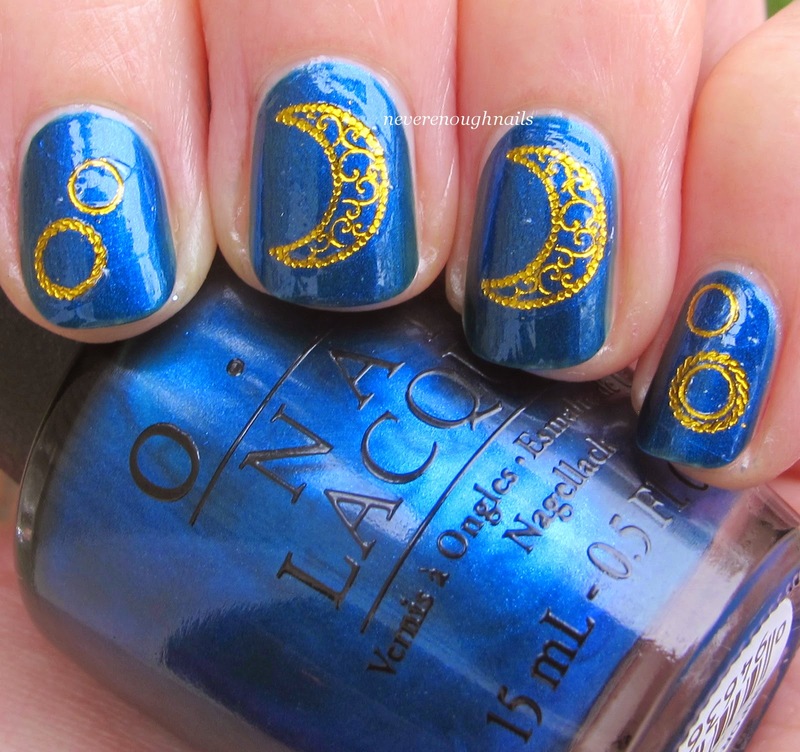 I like them centered on the nail too! These are $2.86 per sheet, so still a bargain for sure. These apply the same way as the cat decals, with a bit of water. They are so easy to use and really ideal if you are a nail art dunce like myself. They take no skill, so they're also perfect when you're in a rush. Born Pretty Store has both of these decal sheets in stock and tons of great Halloween and holiday nail art stuff too, if you're looking for that! Remember to use coupon code ERJ61 for 10% your order. I plan on ordering more of those fancy kitties! Also, I have to share a picture of the packaging of the kitty decals. 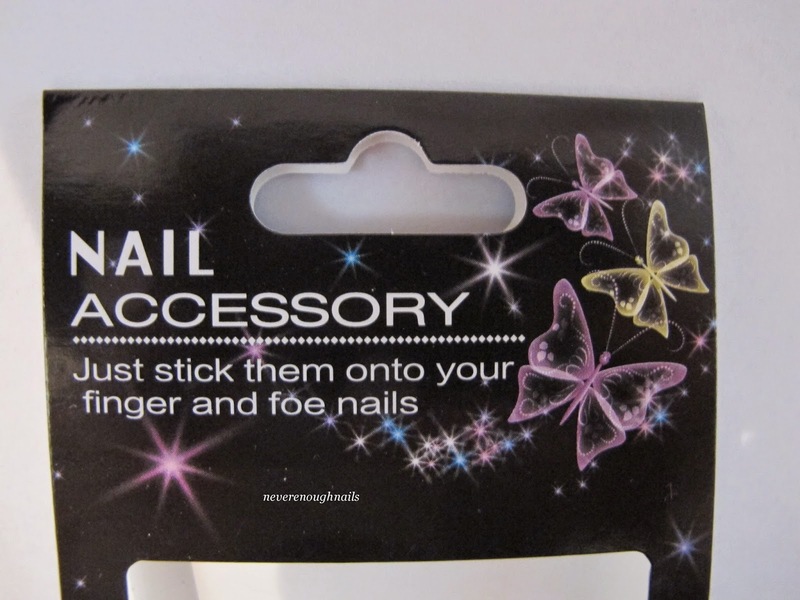 "Just stick them onto your finger and foe nails". Ahhhh, foe nails. Don't ya hate those? Very much like black cats, Liz! 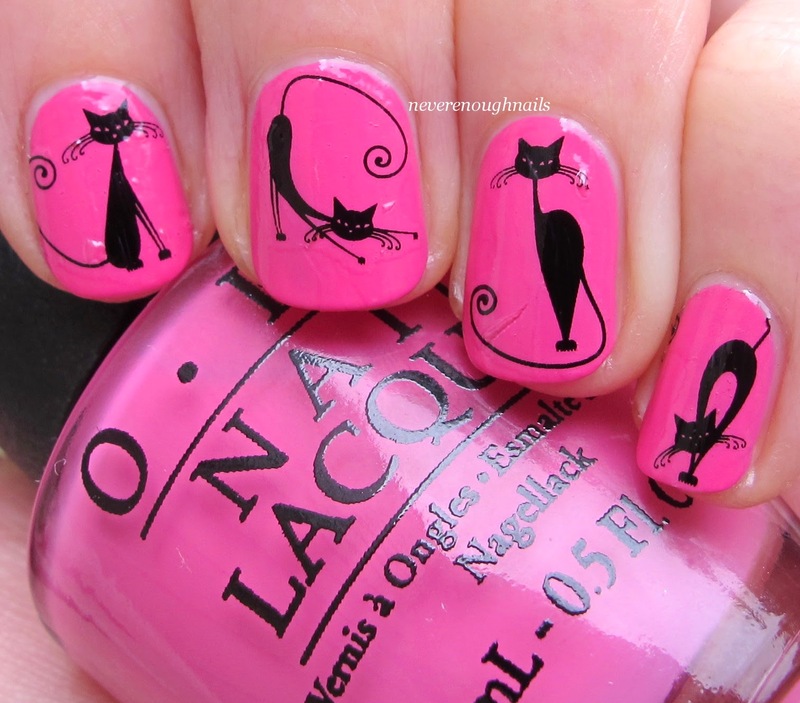 These are the cutest black cat decals I've come across for sure!